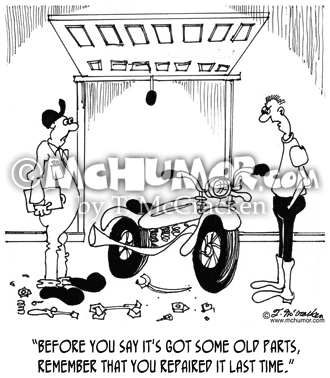 Motorcycle Cartoon 6807: A biker says to a mechanic, "Before you say it's got some old parts, remember that you repaired it last time." 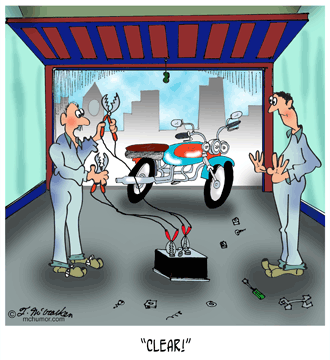 Bike Cartoon 6868: A mechanic using jumper cables on a motorcycle yelling, "CLEAR!" 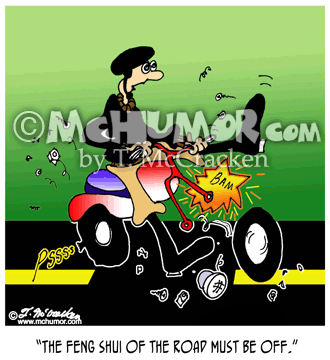 Motorcycle Cartoon 7425: A biker whose motorcycle has two flats and a smoking engine says, "The Feng Shui of the road must be off." 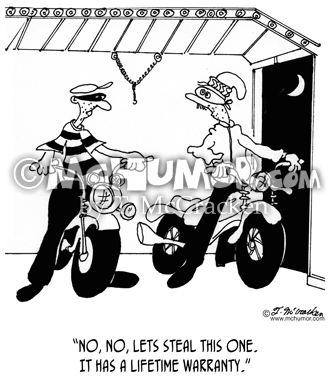 Motorcycle Cartoon 6872: A thief says to another taking a motorcycle from a garage says, "No, no, lets steal this one. It has a lifetime warranty." 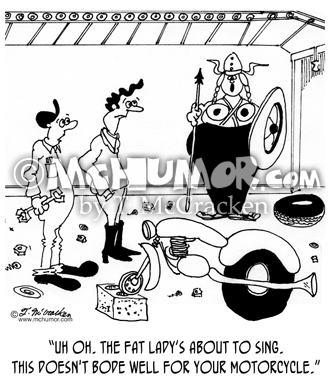 Motorcycle Cartoon 6869: As an operatic Viking woman in a garage is about to sing, a mechanic in front of a heap of a bike says to the owner, "Uh oh. The fat lady's about to sing. This doesn't bode well for your motorcycle." 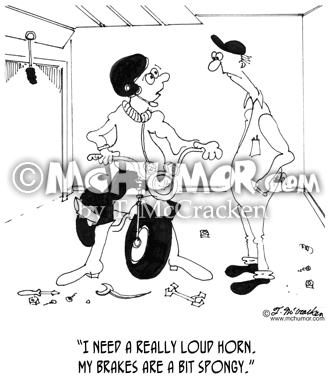 Motorcycle Cartoon 6810: A biker in a garage says, "I need a really loud horn. My brakes are a bit spongy." 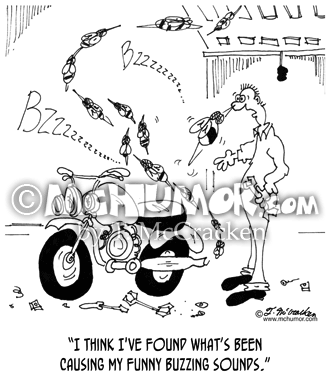 Bee Cartoon 6998: As bees fly out of a motorcycle a mechanic says, "I think I've found what's been causing my funny buzzing sounds." 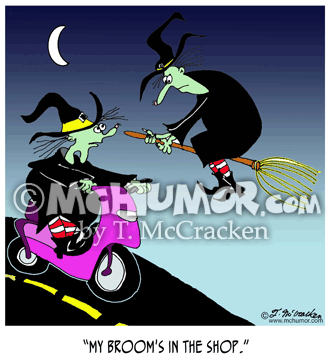 Scooter Cartoon 7424: A witch on a scooter explains, "My broom's in the shop." 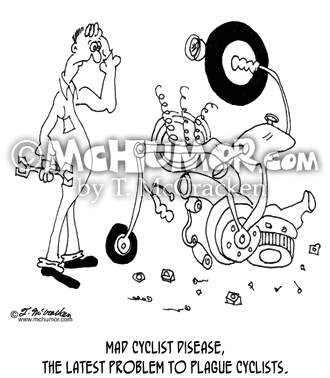 Disease Cartoon 6999: "Mad Cyclist Disease, the latest problem to plague cyclists." A mechanic looks at a motorcycle that's all discombobulated.